Consultation Affecting Freight Carriers in the Capital Ends Shortly UK – Road haulage companies which operate in London are reminded that they have until only 18 April 2017 to respond to the public consultation based around changing the design of HGV cabs to ensure better direct vision for the driver. Whilst this in itself is in no way a contentious issue for most, the attitude of the current mayor seems to indicate he is unaware of how seriously a sudden change in standards would affect the cost of business in the capital. Our latest article on the subject, written when the consultation was announced, told how the proposals angered road freight representatives which accused Sadiq Kahn of ignorance of how the international nature of vehicle design works and ignoring the major factors in accidents between HGV’s and both cyclists and pedestrians, quoting Transport for London’s (TFL) own research. 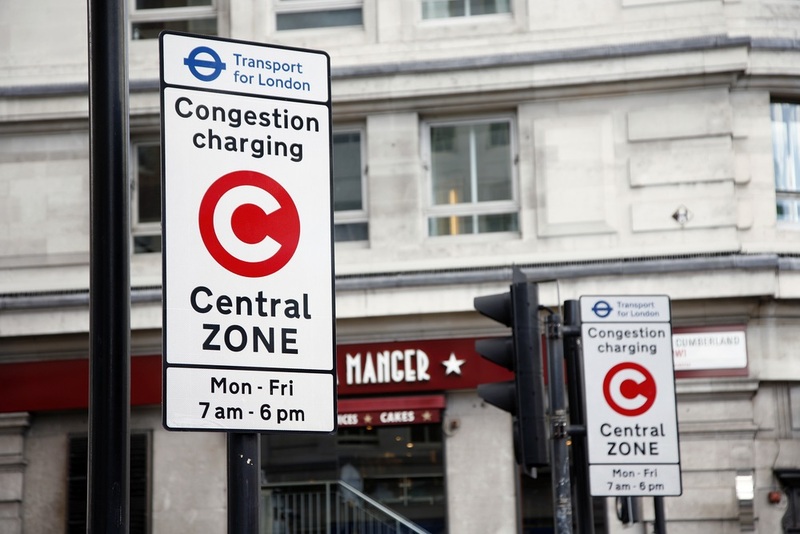 Hauliers claim that the attitude of the mayor has meant that, coupled with the changing demands of the Low (LEZ) and Ultra Low Emission Zones (ULEZ), it was impossible to assess exactly what vehicles to invest in, that for those which can actually afford to change their fleets to permissible trucks. The mayor’s proposed Direct Vision Standard for HGVs, based on a zero to five star rating system to define how much an HGV driver can see directly from each vehicle’s cab, rather than through mirrors or other equipment, he wishes to be a world first. This looks to the transport industry both insular, ill thought out and yet another cash cow for the administration given the impracticality of so many vehicles which enter the capital, both from home and abroad, changing international standards to suit London streets. Given the administrations fondness for simply imposing a charge when standards change, as with the congestion charge, LEZ etc., and the intention on removing completely from the streets the lowest rated vehicles on the new vision scale by just 2020 and any below three ‘stars’ by 2024, all in the name of safety, this latest change will look to many as no more than a cynical cash cow for TfL and a publicity stunt for the mayor. Whilst nobody would deny that a zero target for road deaths is an admirable aim, the changes to emission levels achieved through better engine design and a levy on more polluting vehicles, are centred on reducing the estimated 11,500 annual deaths in London now caused by pollution levels unseen in the capital since the 1950’s. In 2010 a study commissioned by the Greater London Authority (GLA) and TfL estimated 9,500 people perished as a direct result of particulate and NO2 in the atmosphere. Just this week the mayor, in conjunction with his counterpart in Paris, announced a new ‘cleaner vehicle checker’ for cars and with road haulage outfits concentrating on reducing these horrendous pollution statistics through the purchase of the latest Euro standard vehicles, are they now to find these expensive investments scorned by the authorities, the very body whose unilateral change in acceptable standards prompted such huge investments in the first place? AN OVERTURNED lorry has closed an entrance to a busy ringroad. The slip road onto the A406 North Circular is closed westbound at Waterworks Corner in South Woodford after a lorry crashed and overturned this afternoon just after 1pm (Tuesday, March 3). There is queueing traffic along the A104 Woodford New Road up to the A1009 Chingford Lane. Emergency services are yet to confirm if anyone has been injured. Chingford mother Sarah Edwards drove down the slip road just seconds after the HGV flipped. She said: “When I got there there were two people stood near the barrier. “I got out and climbed over it to try to see the driver but couldn’t see him. “It was terrifying. I called 999 and then other people got out of their cars to try to help him. Transport for London has launched a consultation on London Mayor Sadiq Khan’s proposed Direct Vision Standard, and is pointing to new research that “proves that having direct vision from the cab of a lorry… has a substantial impact on improving road safety for pedestrians and cyclists”. As part of the research, says TfL, a simulator was used to replicate a real-life driving situation for the first time. It showed that driver response was 0.7 seconds slower when checking blind spots and monitors compared with looking directly through windows – a delay that could mean a lorry travelling an extra 1.5 metres. Direct Vision proposals including rating HGVs from zero to five stars, with zero-rated vehicles banned from London’s streets by 2020. TfL and the Greater London Authority will include the new Direct Vision Standard in new contracts from April – a move, says TfL that will “further stimulate the market for safer lorries”. The Road Haulage Association is critical of the tone and content of this consultation, which closes on 18 April and which will be followed by a second consultation in the summer. RHA director of policy Jack Semple says: “This is completely the wrong message, completely unjustified and completely unsupported by evidence. We are very concerned to learn this is the first of a series of consultations about HGVs. Semple also slammed the mayor’s claims to understand business: “He is showing no signs of that as far as HGVs are concerned. 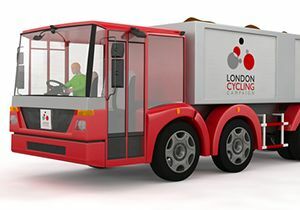 HGVs are good for London and we need them to replace many of the vans that are taking over London’s streets. A BOY, 16, was hit by a lorry as he tried to catch a bus. Paramedics found the teenager lying in the road after a lorry hit him as he crossed Sewardstone Road, in Chingford, at about 4.45pm today (December 12). It is believed the boy was trying to catch a bus that was waiting at the bus stop when he was hit. Paramedics treated the boy by the junction with Sewardstone Gardens, before taking him to him to hospital. He remains there with serious injuries, his condition is described as not life-threatening. The driver of the lorry stopped at the scene, but was not arrested. Officers from the roads and transport policing command are investigating. Anyone who witnessed the incident, or the events leading up to the incident, is asked to contact the witness appeal line on 020 8597 4874.